I have just under two weeks left of summer although I have a solid month left before school starts back and I just can't believe how fast it has flown by. While in some regards I feel like I haven't done a lot in reality I've stayed pretty productive this summer with plenty of opportunities to relax as well. With an ever changing nannying schedule, the determination to get lots of new content uploaded here on the blog and on youtube, and also spending time exploring different places and relaxing with family I wouldn't have been able to do that if it weren't for taking the time to keep things organized. If you've been around PIYS for a while then you'll know that I am a tiny bit organization obsessed. For whatever reason I have this constant desire to be productive and a friend put it best that I would be bored if I didn't have some way to keep myself busy as long as that business was productive. In the summer it can be especially difficult to stay organized as you feel like you're always on the go but also may have no schedule at all. 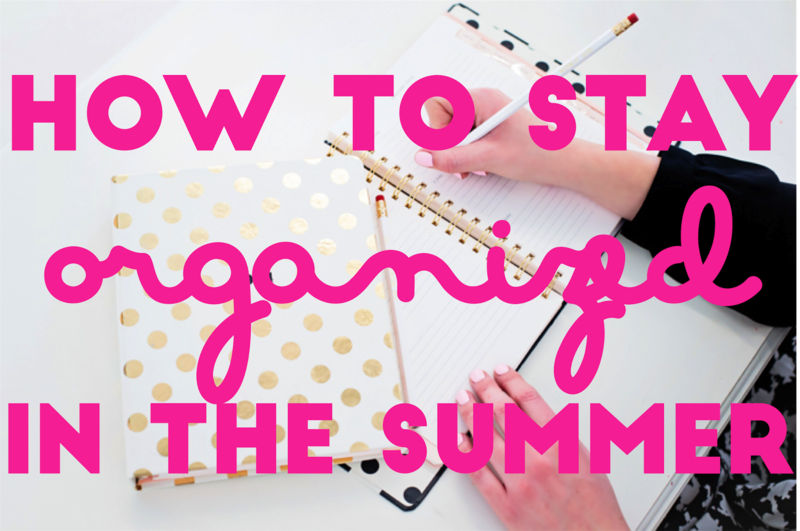 Organization is essential when it comes to both scenarios and I completely understand how it can feel difficult to stay organized in the summer so I've come up with some tips to help y'all out. Now is the perfect time to start easing yourself back into an organized mindset so that come the first week of school it doesn't seem like a total shock. By implementing these organization tactics now getting back into a routine come school will be a breeze. Nothing can keep you quite as organized as a calendar of some sort and I am obsessive about mine! Go ahead and write down important dates for the summer as soon as you find them out so you won't miss out on anything. Planners are also great for day to day planning even if you feel like you don't have a lot to do I am always more likely to get everything done if I write out what I need to accomplish in my planner. I love writing things down and hate it when I have an idea and have to ape it in the notes section of my phone instead of on paper because I've forgotten my notebook. There are all sorts of notebooks on the market that I am sure you'll be able to find some type that you like that is small enough to bring along with you. Keeping a notebook with me to write down ideas, thoughts, or things to do helps me stay on top of those things in an organized fashion. To-do lists are a wonderful thing if you ask me. Writing down the things you need to accomplish will help to ensure that you don't forget to accomplish them and crossing something off of a to-do list sure is satisfying! Even if you only have two or three things to remember to do go ahead and write them on a to-do list to help hold yourself accountable. I get it laundry and running the dishwasher are a bore but they are things that need to get done at least once a week if not more frequently. Creating a set schedule for when you plan to do these tasks will help to make sure that they actually get done on a weekly basis. And the best part about doing most of these things is that you can multitask as they are happening. If your summer schedule is pretty unstructured it can be helpful to create a routine for yourself. While you don't need to plan out each hour of every day having a general time frame of when you wake up and go to sleep it will be a lot easier to adjust back to a set routine when school comes around! I hope these tips prove to be useful for you and if you have any additional ones I would love to hear them! My planner has helped to keep me so productive this summer! The ever changing nanny schedule is definitely struggle for us planning obsessed girls! Love keeping my calendar on my phone so I can reference it on the go, because I don't always have my planner with me during the summer! We're obsessed with organization as well and love these tips! We'd be lost without our planners! I recently bought a planner to use for blogging/work/internship things and it's been such a life saver. Planners are so pretty that I automatically feel inclined to use them haha. 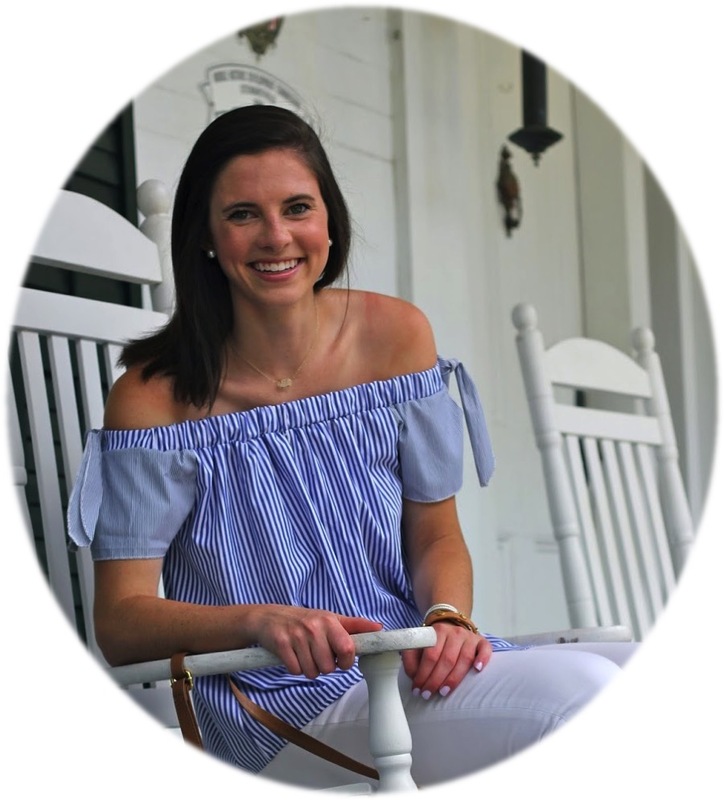 This post is perfect--I've found myself being really busy this summer and these tips are great for not getting totally overwhelmed.